﻿How did the fascination start? I think it was during 6th grade, because of my Geography subject. We were all assigned different countries to research and report in front of the class. Yup, I got Iceland. There was no Internet back then (17 years ago! ), so I relied heavily on the little information I found on our encyclopedia. Iceland was indeed picturesque even when seen in print. I learned how to properly pronounce Reykjavik, what their form of government is and memorized facts of their economy. And somehow, these little tidbits of information stuck. I got attached to this country (which I knew so little about then) ever since. Recently, Big Blog Exchange had a survey which included the question, "Which 3 countries would you choose for the exchange?" 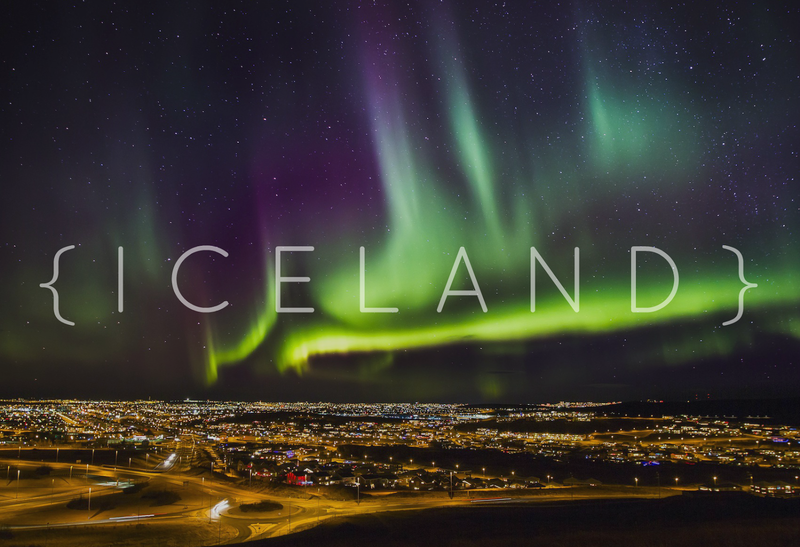 Of course, Iceland was at the top of my list. I know I have limited knowledge regarding this country and I haven't known anybody personally who's been there so the constant research through the Internet always filled my curiosity. It's a staple thing to do for visitors of Iceland to take the Golden Circle tour. On the photo is Gullfoss waterfall which is a part of the usually 3-stop tour. Gullfoss is called the "Golden Falls", since on a sunny day the water plunging down the staircase truly looks golden. It's usually compared to the Niagra Falls with regards to it's beauty. The Þingvellir makes up the last spot in the Golden Circle tour. This is believed to be where the Icelandic parliament was founded, which marked the founding of the nation of Iceland. See the Northern Lights! This one I might have to include in my bucket list. It was highly suggested to go to Iceland between September to March to be marveled by this glimmering beauty. But you could always take a chance to see it. Visit the Hallgrímskirkja. This is a Lutheran parish church located in Reykjavik and you could practically see this from anywhere in the city eventhough it's just the 6th tallest infrastructure in Iceland. I want to see the great and elaborate architecture exhibited by this place. The church now is also being used for exhibits and performances. I wouldn't miss to see the Puffins! These cute Aves are actually great swimmers! One of Iceland's delicacies is puffin meat but I guess they're just too cute to eat, at least for me. Hehe. I also read that their beaks turn gray during winter and turn back to bright orange during spring. "The rúntur was devised as weekend entertainment by youth bored during the winter months of near-endless night. The word rúntur translates to “round tour” and that’s just what it is. Teenagers cram into their cars and make laps along the local roads, stopping occasionally at a car park to socialize. Sounds like a lot of fun! I'm not big on drinking but I wouldn't mind being in one. Hehe. Ice Cream Day in Hveragerði. This one, I really, really like. It's so cool to have an ice cream day! Hveragerði is little town located between Reykjavik and Selfoss. Families and friends drive to this town every Sunday to avail of free ice cream for everyone. There are some pretty experimental flavors such as Garlic & Blood pudding. Hmm. Very interesting. I found this website which was chock full of information about Iceland from other people's perspective: Inspired by Iceland.